I always get a little more excited when getting the chance to spend some quality time with a MATRIX series graphics card. 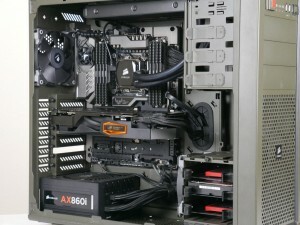 The MATRIX series represents the best of the ASUS graphics design team. Offering up impressive thermal performance, outstanding overclocking capability, out of the box overclocked performance and ultra premium design throughout. 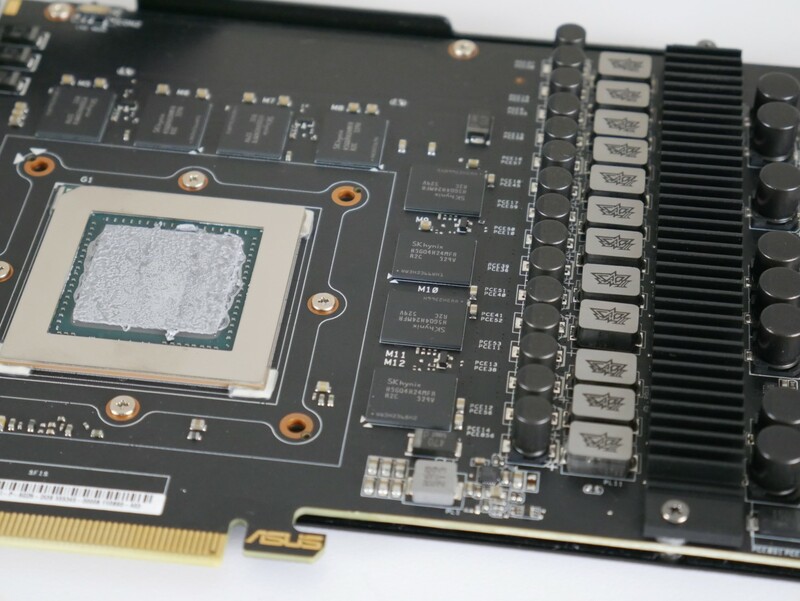 You put that all together with an ultra high-end GPU like the GTX 980 Ti and it is hard to not be excited and interested in what innovations, improvements and experience the card offers up. 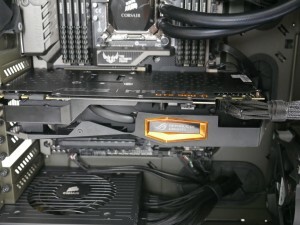 Thankfully you do not have to wonder as I have spent the last few days putting the card through it paces, doing everything from general game testing to thermal analysis to overclocking and even a full dis-assembly to see the glorious non reference design of the MATRIX. 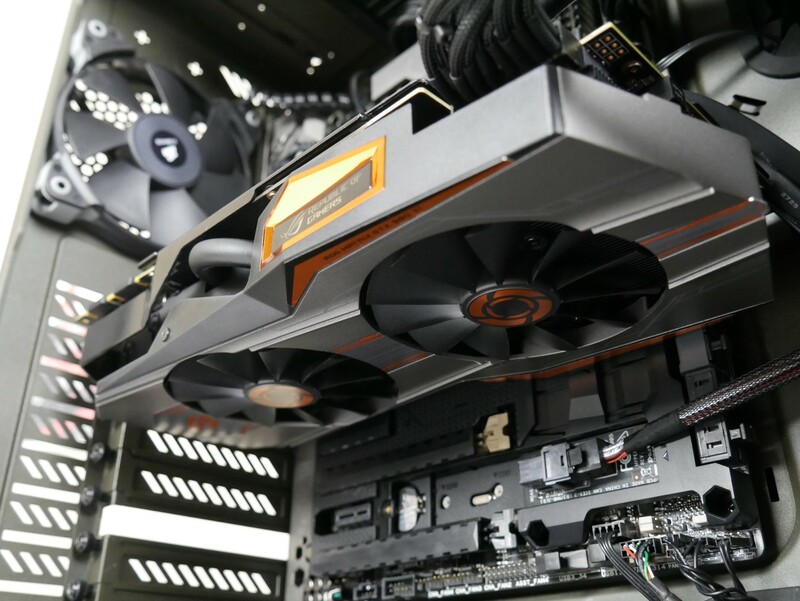 While all ASUS cards are designed with the tenants of cooler, quieter and faster the MATRIX takes these to the next level while adding in a range of features and functions that are squarely aimed at the PCDIY and gaming enthusiast. The card has an aggressive styling and with almost mono chromatic color scheme. The main contrast in color is from the inclusion of the new ROG color seen on new ROG products like the PG348Q and new G752. Looking more closely the MATRIX carries over one of my favorite aesthetic design details from previous MATRIX cards in that the heat sink assembly is all black. While a small visual detail it has a big impact of the visual continuity of the card, especially when you view the card installed in a system. This small detail really helps to further meld the look of the card with the look of the system while also elevating it and giving the card a visual that “feels premium”. Beyond that the slightly visible heat pipes at the top and bottom of the card give you a sense of the thermal performance this card offers up, which to sum up quickly is very impressive. Tying it all together the metal black plate with correctly oriented lettering further sets the card off and again shows the attention to detail to have a card that looks as good as it performs. 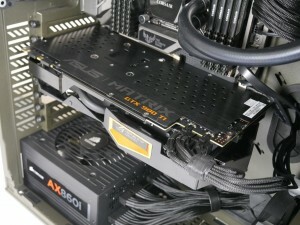 Below you can get a sense of what the card looks like install a system that aligns with its high-end position. 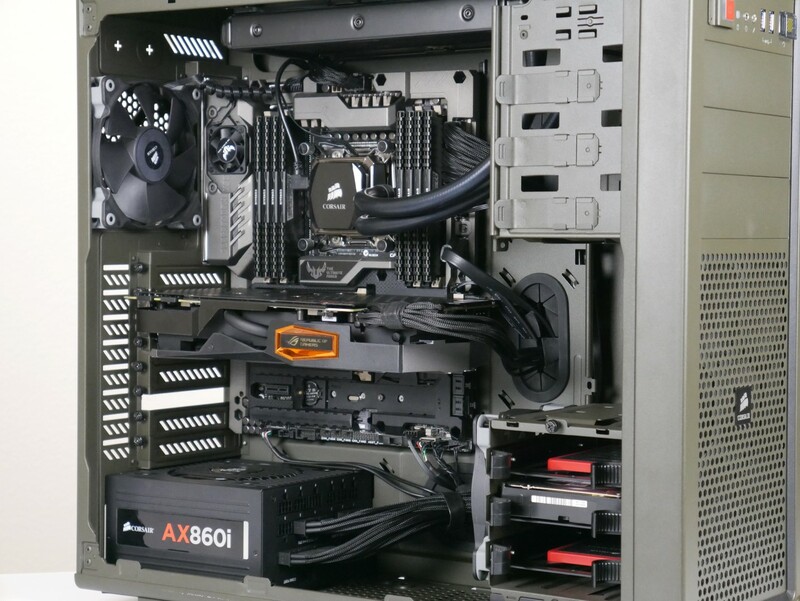 The build is based on the X99 chipset and Haswell-E CPU. The MATRIX packs in a huge amount of specialized design work. This is true even when compared to other ASUS non reference cards like the STRIX GTX 980 Ti. 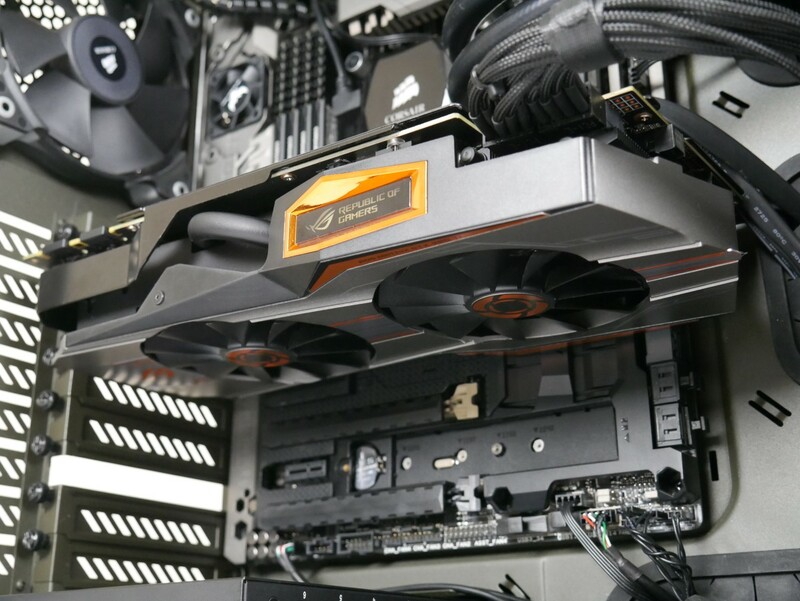 While both cards feature a 100% non reference design, meaning the PCB, VRM and cooling solution are all designed in-house the MATRIX takes it to another level. The MATRIX, features a specialized PCB further optimized for improve signaling performance and overall is focused at helping to enable the best overclocking performance possible. Of course as always when it comes to overclocking you still need to factor in the silicon lottery. Beyond the specialized PCB topology and overall design the card offers up an impressive custom power delivery section ( the VRM ). This section utilizes ASUS in-house SAP components which have been designed, developed and implemented to offer superior power performance, higher voltage thresholds, superior efficiency and overall improved temperature performance. 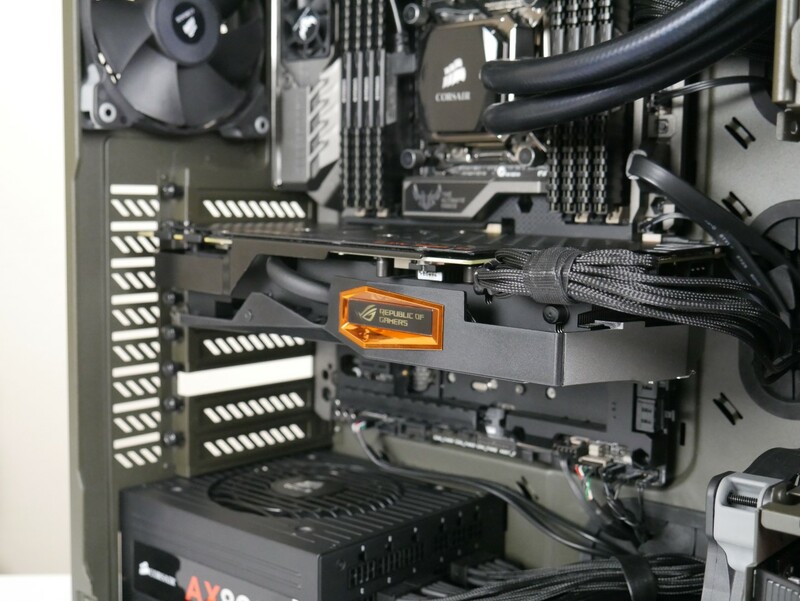 Beyond that these components offered improved reliability which combined with the card being produced through ASUS’s industry leading and exclusive Auto Extreme production process yields a card built to perform and built to last. Ultra high performance IR power stage which offers impressive thermal efficiency and power efficiency, while also offering increased voltage thresholds. Custom ASUS iROG controller which helps to offer extended overclocking functionality, advanced monitoring and more. Equally important to the components I was satisfied and impressed by seeing a high quality heat sink present on the power stages ( mosfet / driver package ). This is important as this section of the VRM is the hottest part of the graphics card outside f the GPU itself. Overall looking at the card up close in detail you can see this is not just a premium card in name but truly in its design. Even the PCB itself is a premium matte black PCB which while it does not offer improved performance its looks great and further reinforces this cards premium design and positioning. 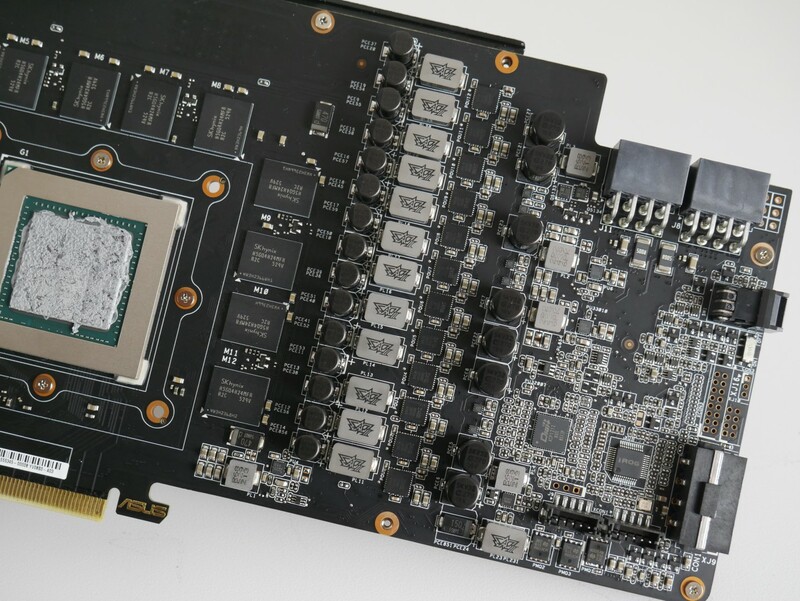 Ultra high fin density and ultra large size – The heat-sink assembly is more than 2X larger than that of the reference GTX 980 Ti. This allows or more heat to be displaced and dissipated. VRM heat-sink – A finned heat-sink assembly which helps to conduct heat from the power stages located in the VRM. Static pressure optimized “Wing Blade” dust proof fans – The fans are first and foremost design to maximize downward firing airflow similar to the type of airflow needed for optimally cooling of a radiator. This helps to dissipate the heat that is conducted into the heat-sink assembly from the heat-pipes. Equally as important the fans have a great fan curve which has been tuned for the best balance between cooling and quiet. This helps to ensure the card is cooled but extremely quiet under gaming load. When running my temperature testing ( which was performed inside a chassis ) I was impressed at how quiet the card was at full gaming load. For most users they will not be able to hear the fans which run at sub 1500 RPM. Temperatures depending on the ambient were in the 63c to 68c range. Impressive considering how quiet the card was and even more so when you consider that the reference GTX 980Ti averages 82 to 84c under gaming load and is louder. Icing on the cake is the fact the MATRIX is overclock so operates at a much higher consistent GPU BOOST frequency than the reference card. The proof is in the numbers that the MATRIX offers up a cooler, quieter and faster gaming experience. Faster than EVGA, MSI and GIGABYTE! While gamers and enthusiasts card about temperatures and acoustics performance is still at the top for many. In this respect the MATRIX also offered up impressive numbers. In fact the out of the box OC mode enables a GPU BOOST clock that is faster than EVGA’S Kingpin or Classified graphics cards as well as MSI’s Lighting and Gigabyte’s G1. While I state that a card should no be weighted purely on specs it is nice to now that the MATRIX is not just offering up great design, great features but also class leading performance. In real world testing we found that the GPU BOOST clock of 1317 ( the OC mode preset ) on the MATRIX yielded slightly over 1400 MHz! in game under load. For many that will be more than fast enough. Of course the MATRIX was built for enthusiast looking to push the performance of the GTX 980Ti to its limits. 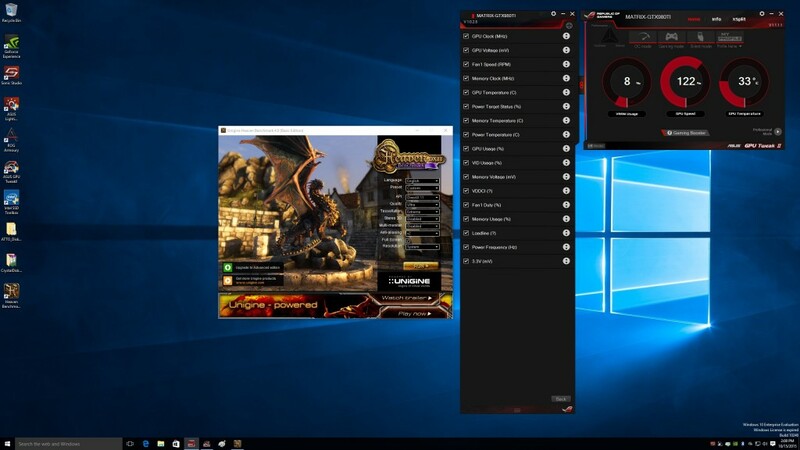 Gamers and PCDIY enthusiasts will appreciate the easy to use one touch profiles accessible in GPU TWEAK II. These profiles allow for 4 levels of immediate performance adjustment including OC Mode, Gaming Mode, Silent Mode and User Define which of course allows you to define everything from the graphics card clock speed to a custom fan curve. I am still in the middle stages of overclocking but will say that the sample I have has been a great overclocker. 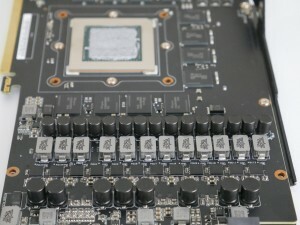 Of course the silicon lottery plays a huge factor in this as not every card will yield the same results whether it be a MATRIX card, POSEIDON or STRIX the cards design is about enabling additional flexibility and functionality when it comes to the monitoring and tweaking and tuning of the card along with improved cooling. 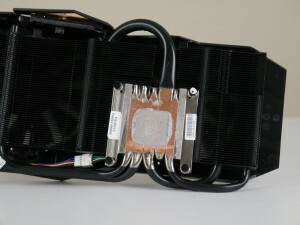 The outstanding cooling helped to maintain excellent GPU temperatures even when exceeding 1500 MHz on the GPU. For those looking to overclock their MATRIX it will offer up the most extensive level of tweaking available including GPU Voltage, Memory Voltage, PEX Voltage, 3.3 Voltage, Load Line Calibration, VRM Clock adjustment and lastly Power Target %. No other card comes close to giving you as much control or flexibility in how you pursue your overclock. ROG motherboard users will also appreciate the ability to extend hardware level overclocking and additional voltage via VGA Hotwire which is compatible with EXTREME series boards and motherboards equipped with the OC Panel. Memory overclocking was also fruitful with the best results so far being 8 GHz. 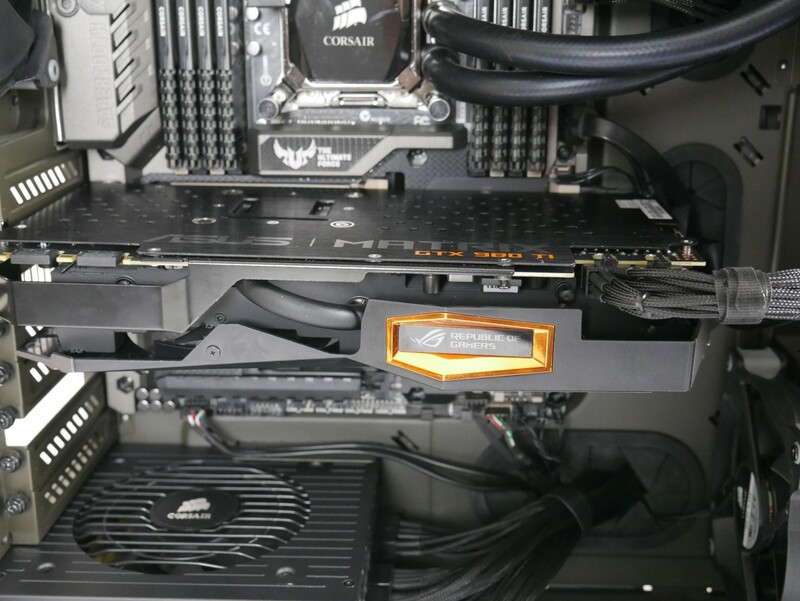 A Matrix card overclocked to 1.5GHz on the GPU and 8 GHz on the Memory is truly an impressive card and offers up some awesome fluid gaming. I of course am expecting to see some very impressive overclocks in the community once this card becomes available. 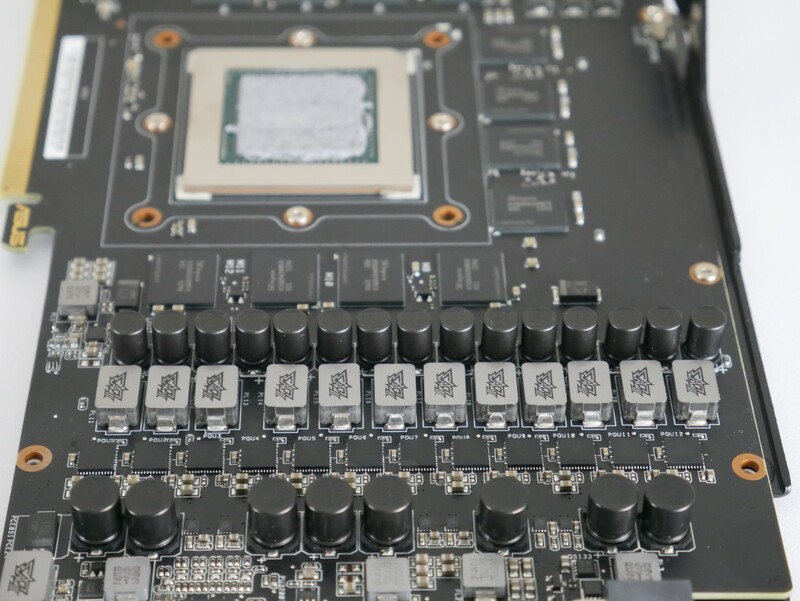 In fact we can already see world record performance from extreme enthusiasts who have been sampled the card and push it to its limits via while also taking advantage of its EXTREME centric features like memory defrosting, voltage read points, and more. While a vast number of the MATRIX’s features, functions and benefits have been detailed, one that I continue to absolutely love is its advanced monitoring. 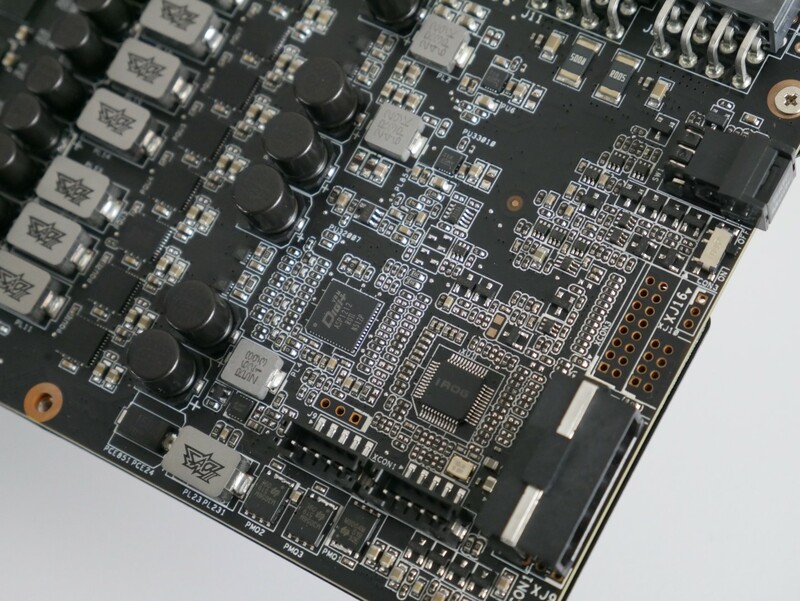 The MATRIX card through its custom PCB and IC implementation offers up a truly impressive 17 points of monitoring whether you are an overclocking or temperature monitoring zealot the level of information available to you in GPU TWEAK will not leave you wanting. 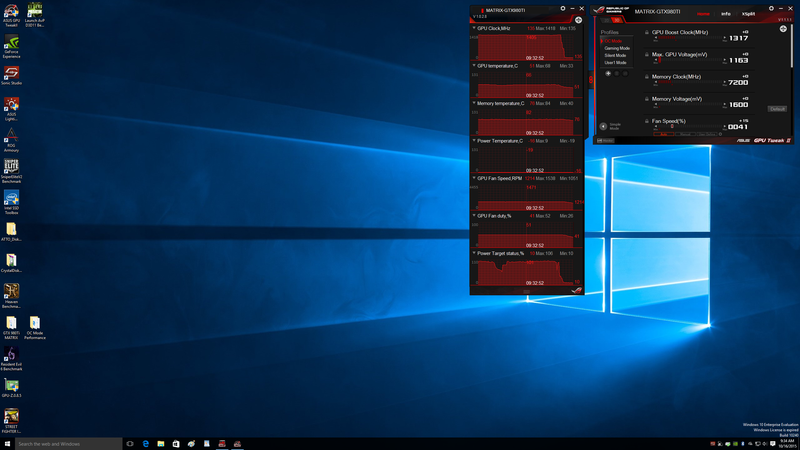 You can of course select which points you would like monitored and additionally leverages GPU TWEAK’S real-time logging function so you can reference the cards operating values as you tune your cooling configuration in your chassis or pursue more aggressive overclocks.